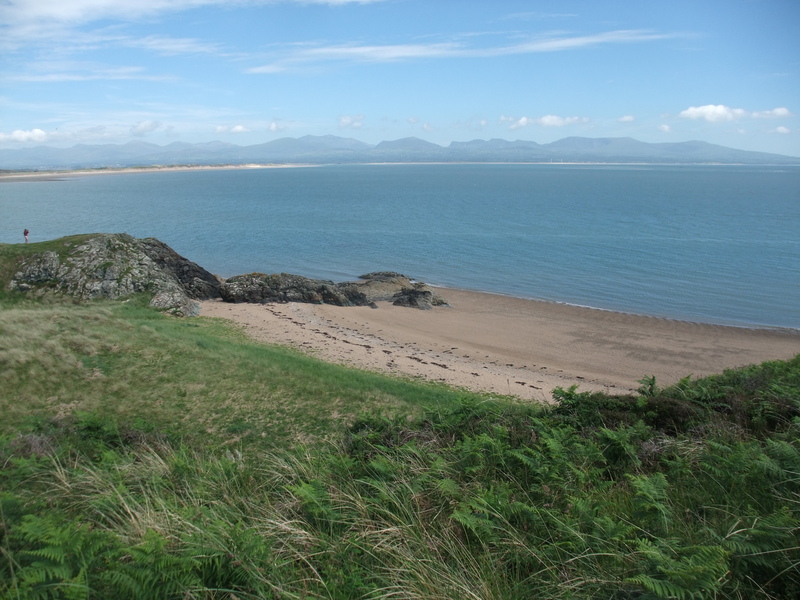 As part of the new 25 year Environment Plan, the Department of the Environment, Farming and Rural Affairs launched a review back in May looking at the roles of National Parks and Areas of Outstanding Natural Beauty (AONB). 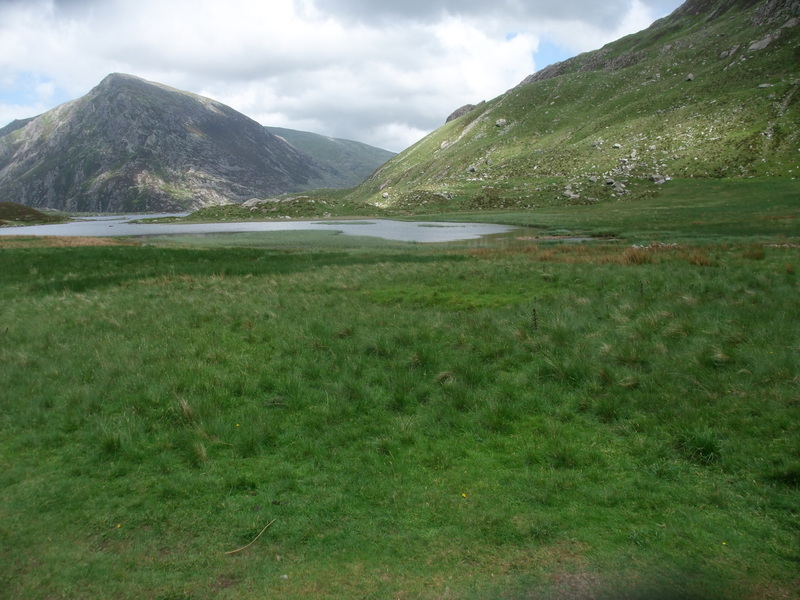 National Parks and AONBs are the two main landscape protections in England. 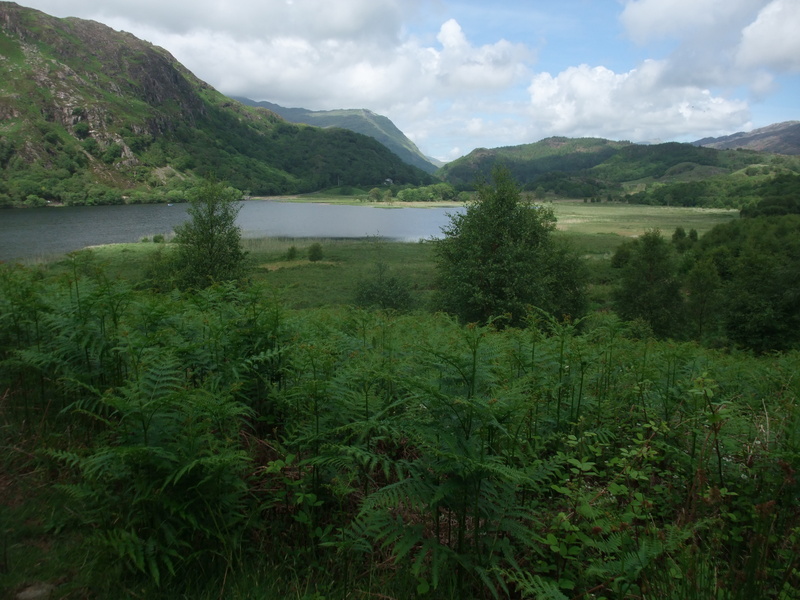 The idea behind the review is to make sure our protected landscapes are fit for purpose going forward. As part of this review Defra have issued a call for evidence. 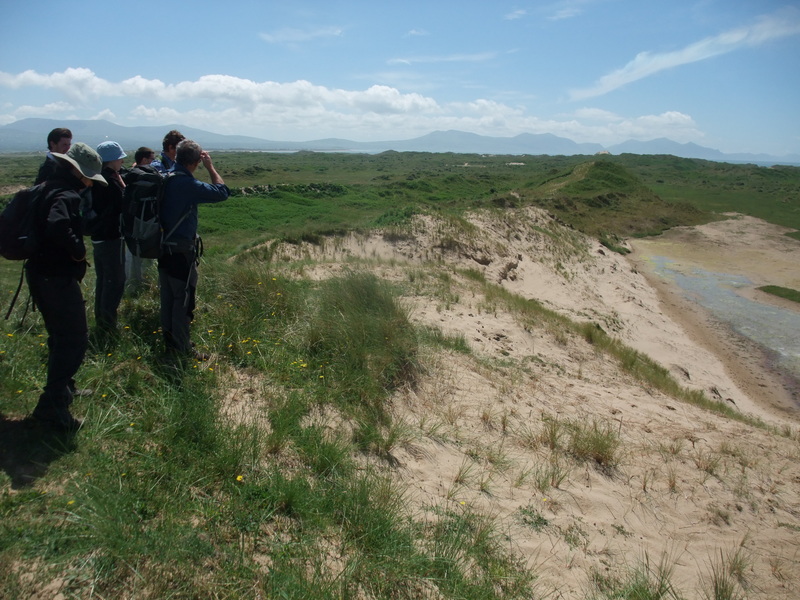 In particular they want to hear from interested people who live in, work in, visit protected landscape, and/or care about our landscapes, biodiversity and heritage: what do you think? Defra need views and ideas on National Park and AONBs’ roles in conserving nature and biodiversity, enhancing wildlife and supporting the recovering of our natural habitats, shaping landscape and beauty, protecting cultural heritage, working with farmers and land managers, supporting and managing access and recreation, encouraging volunteering and improving health and wellbeing for everyone. 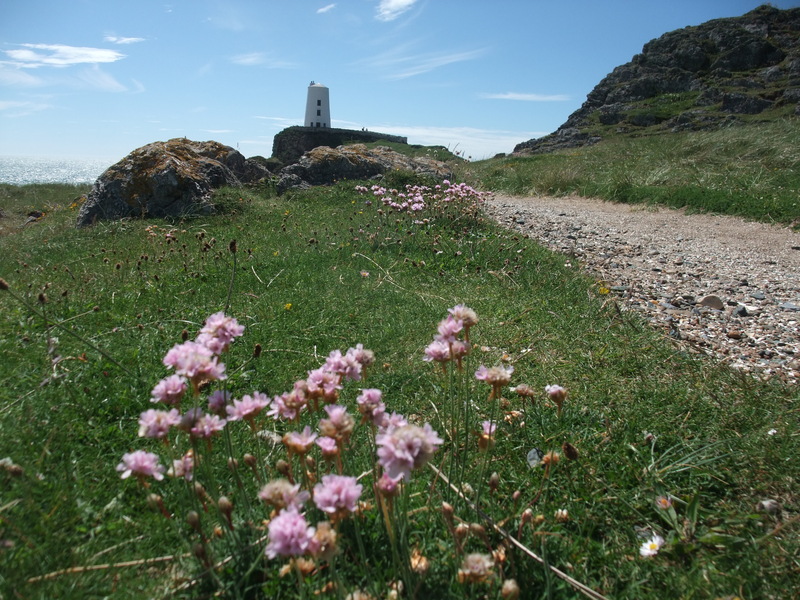 There are also questions about how National Park and AONBs are governed, funded and designated; how different national designations work together; how well National Parks and AONBs work collectively with other organisations and with the public; and how National Parks and AONBs support the local communities who live and work within their areas. Submissions will be considered alongside the evidence being gathered by Julian Glover and his team who are leading on the review. If you want to add your thoughts please note that the public call for evidence closes on 18 December, the final report and recommendations are expected by autumn 2019. It’s an opportunity to make changes for the good. 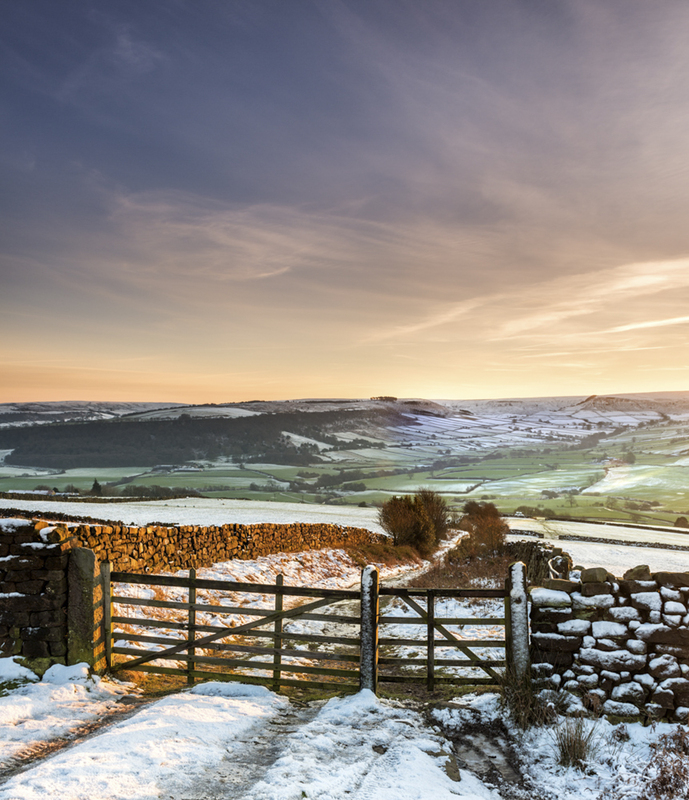 It’s great to be able to start a new year with some good news – so we are very pleased to say that the North York Moors, Coast and Hills LEADER Programme is now open for business again. LEADER funding is for projects that create jobs and help businesses grow and which therefore benefit the rural economy. Improvements to animal health and welfare for example gait analysis systems, mobile handling systems, and electronic weight systems linked to EID (electronic identification) readers. LEADER wants to help establish, support and grow micro and small businesses in the area. Investments can be made which will help you produce more or something new, or help you access new markets or link up with other businesses in the area. All applications will need to show that the investment will directly result in increased employment opportunities and / or growth of the business. 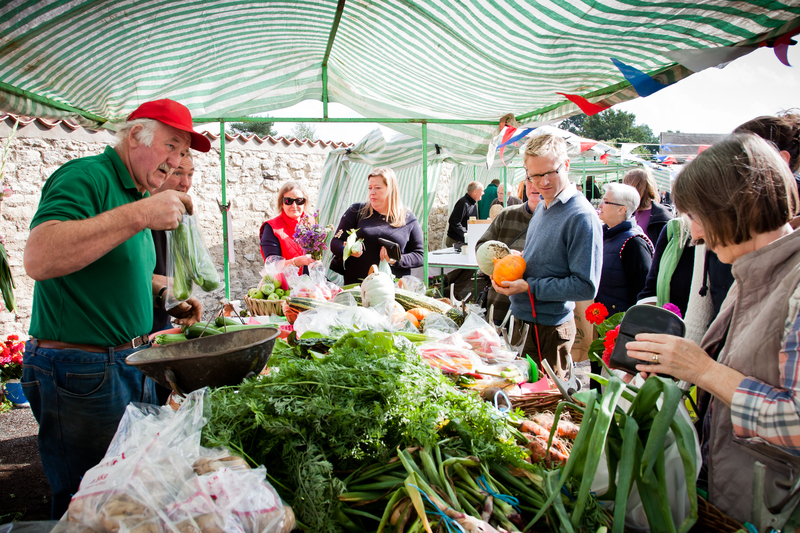 Farm diversification activities are also eligible. Tourism is another key element of our local economy. 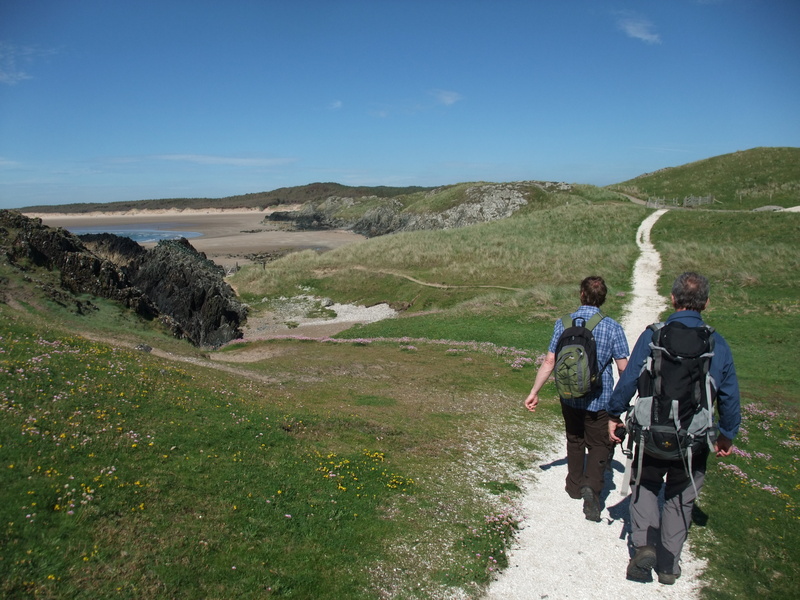 The LEADER Programme wants to support tourism businesses to improve their offer to visitors, to be more innovative in the use of technology, and to extend the season which will increase footfall and visitor spending in the area. Visitor attractions, facilities, products and services can all be considered. To be successful your application will need to show that jobs will be created and that the economy will benefit as a result of any funding being awarded. Our fourth priority is forestry. LEADER wants to support forestry contracting businesses or private forestry holdings requiring equipment and machinery to help produce, extract or process both timber and non-timber products. 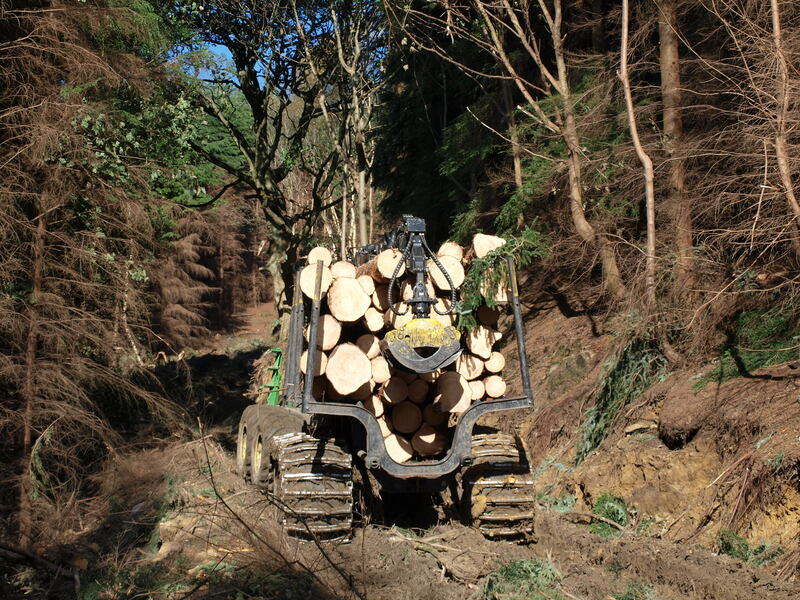 Continuing with the economic theme of the Programme, your application will need to show that LEADER funding will help create employment opportunities, and add value to the timber / forest products, as well as improve woodland management. Our area has inspiring landscapes, unique attractions, notable assets and resourceful people – LEADER funding can help make more of these benefits. If you have plans for your farm, your business, your community, it would be well worth having a look at what LEADER is offering. Our website also has a lot more information on LEADER, but if you have any questions or queries, or would like to talk through a potential project or application in advance of submitting an Outline Application, then please don’t hesitate to get in touch with me. The ‘Slowing the flow’ project is now completed, ahead of approaching winter. The purpose of the project has been to reduce the risk and severity of flooding in Pickering and nearby Sinnington. 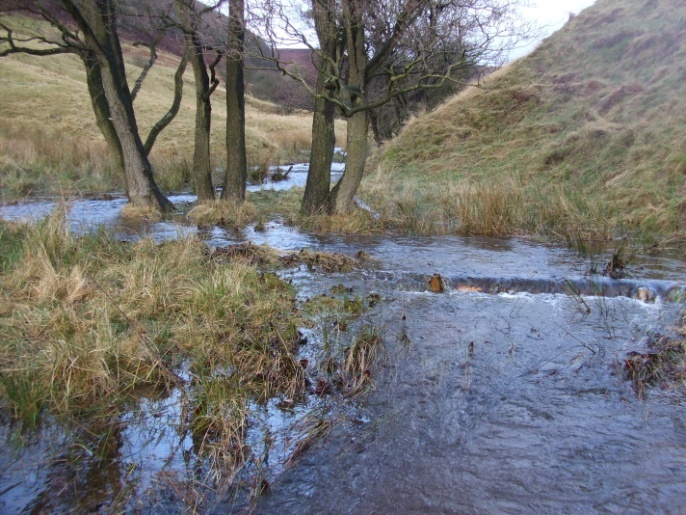 The approach has been to slow the flow of water from off the moors into Pickering Beck and the River Severn and subsequently down into the settlements below. The last element has been the creation of a flood storage area at Newbridge, upstream of Pickering – a site to hold up, and so slow down, extreme flows of water. It can hold up to 120,000 m3. The ‘Slowing the Flow’ project was one of a number of Defra pilot projects looking into reducing flood risk and impacts. The idea was to make the best use of natural processes by adapting land use and land management to slow down and delay the passage of water. Phase 1 of the project concentrated on building up a working partnership including with the local community. 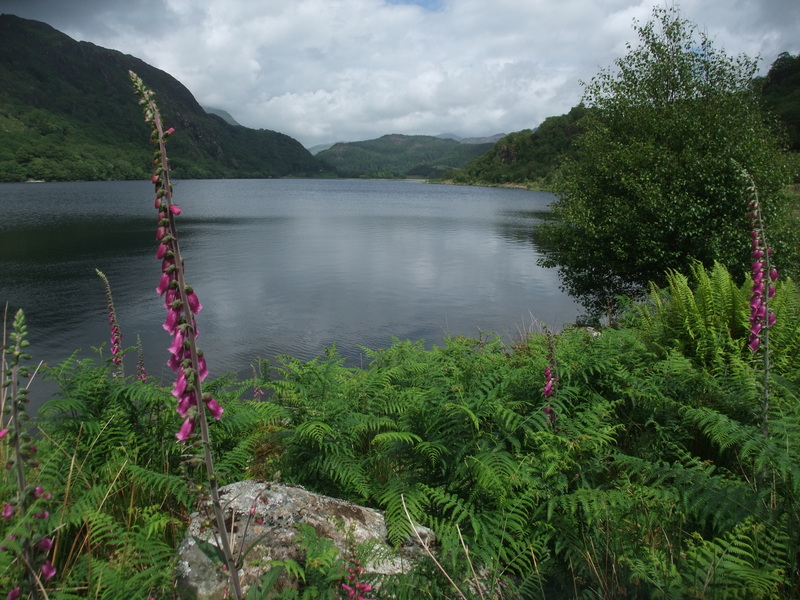 The National Park Authority were heavily involved in Phase 1 of the project as a major landowner in the area. 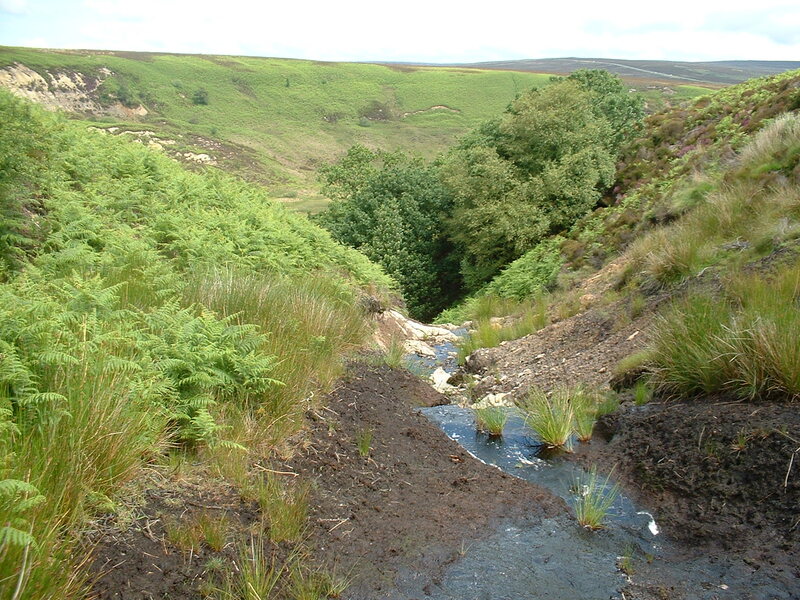 The National Park Authority owns Levisham Estate upstream of Pickering and a number of tributaries into Pickering Beck arise on the Estate’s moorland. 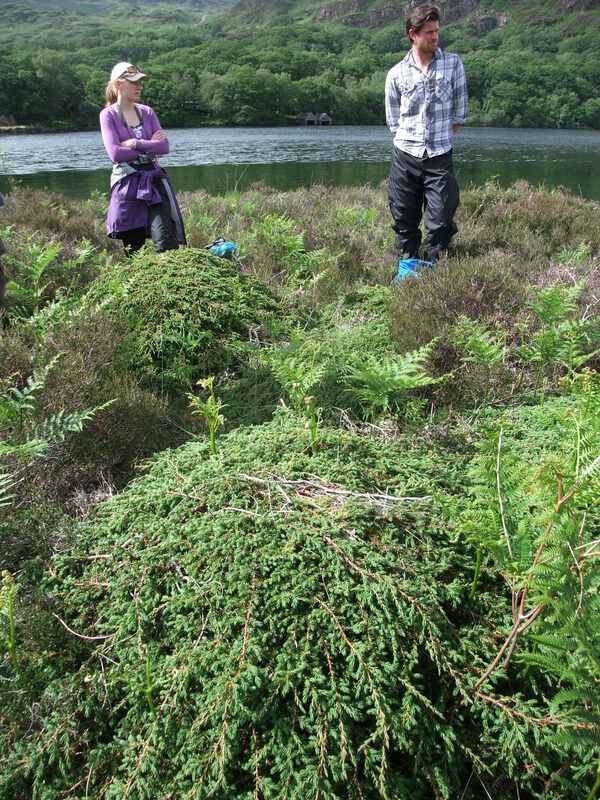 The land management work undertaken in the two sub-catchments included establishing no burn buffers along moorland watercourses to protect soils and retain vegetation, impeding moorland drains using heather bales to lessen erosion, constructing ‘woody debris dams’ which slow but don’t halt watercourse flow, creating riparian buffer zones in forestry, and large scale tree planting and long term woodland creation because trees prevent sediment runoff and hold and use more water than other habitats. 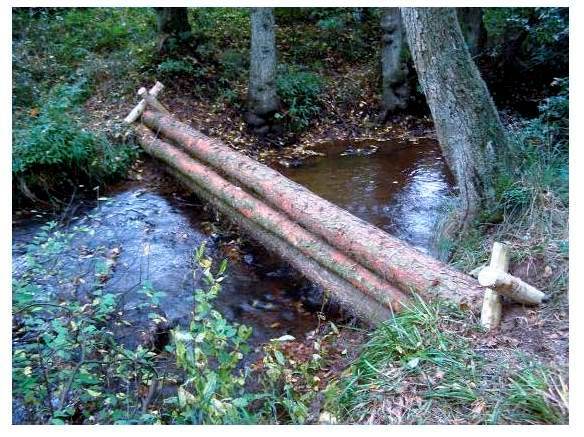 Two timber bunds were also constructed in the River Severn catchment. Phase 1 (2009 – 2011) led to Phase 2 (2011 – 2015) which allowed for the implementation of the outstanding land management interventions planned. One of the lessons learned was that five to six years is a more effective time scale for delivering a demonstration project, especially one that includes persuading landowners to change land use. Another lesson is that the measures undertaken have to be at an effective scale – the bigger the contribution to flood protection required, the larger and/or more extensive the measures need to be at the catchment level to make a difference. The use of smaller, more diffuse, storage features can collectively contribute a sizeable flood storage volume, depending on their design and management – however catchment level planning/modelling is needed to guide and achieve the optimum placement and combination. 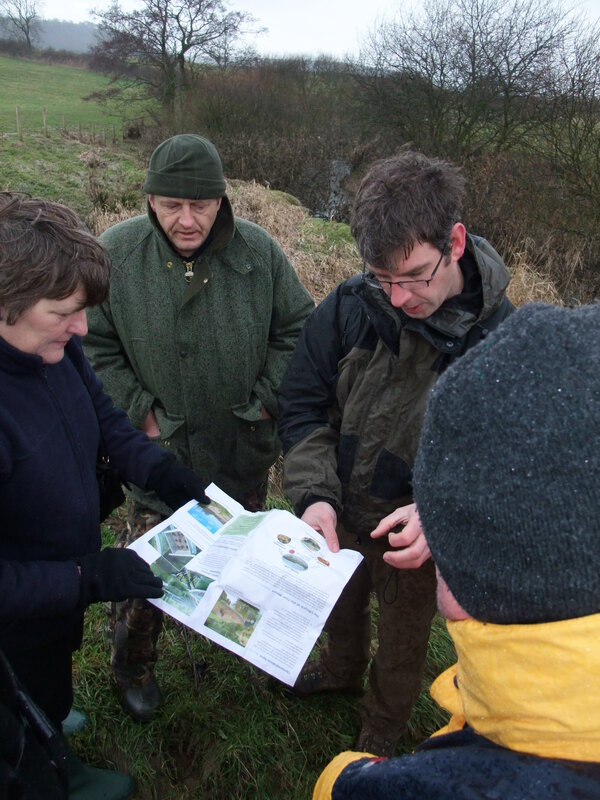 The ‘Slowing the Flow’ project was led by Forest Research, and the partnership that made it happen included the Forestry Commission, the Environment Agency, Natural England, North Yorkshire County Council, Ryedale District Council, the North Yorkshire Moors Railway, Durham University, Pickering Town Council and Sinnington Parish Council and the local community including vital landowners, and us. The project was possible only because of this joined up and inclusive approach to flood, water and land use management. 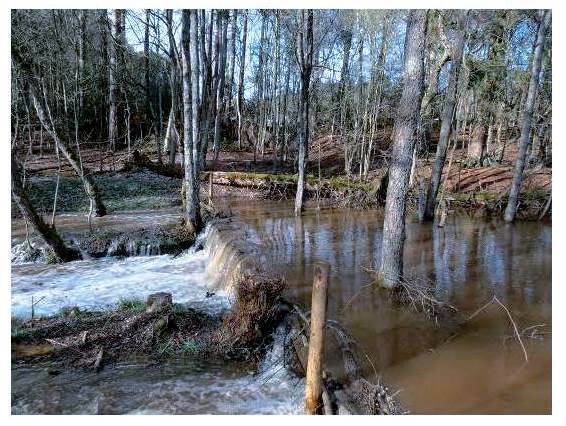 Another lesson from the project is that efforts to reduce flood risk via land management interventions can be accidentally counteracted by other activities in the same catchment. 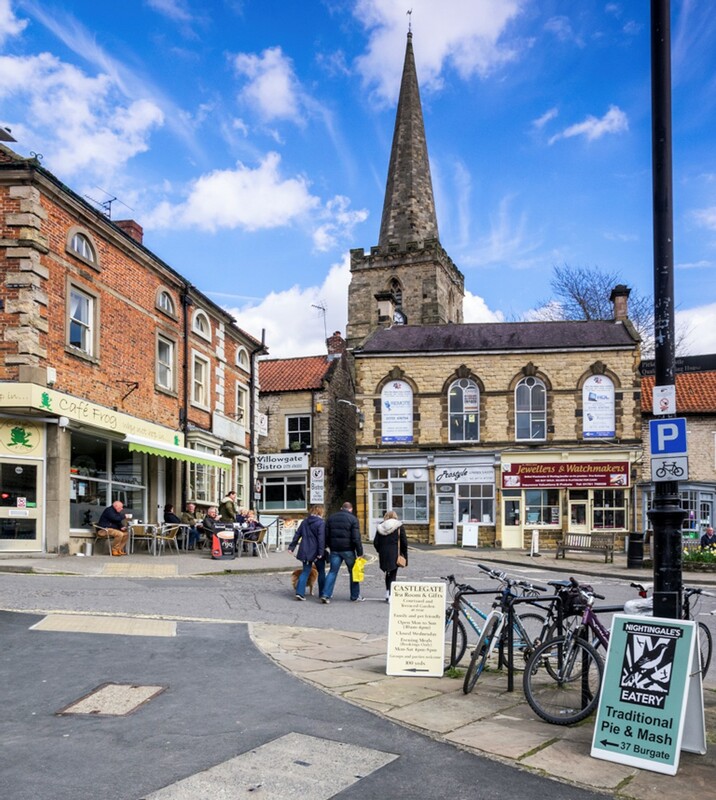 Although the main purpose of the project was to lessen the risk of flooding in Pickering, and also the village of Sinnington, the methods used will provide added benefits to biodiversity and the wider ecosystems. The piloting of the practical demonstrative measures have allowed the sharing of good practice, knowledge and skill development (e.g. NYMNP Apprentices). 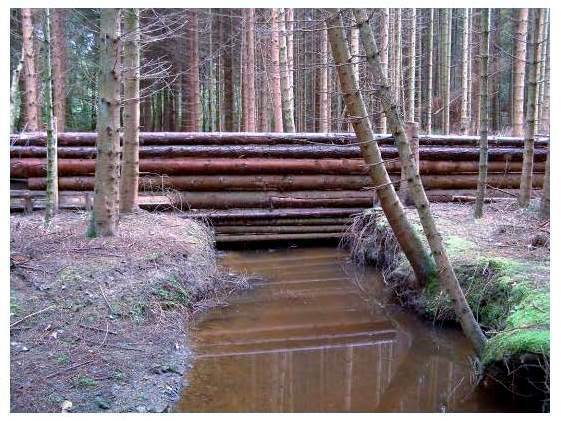 Concerns over the stability of ‘woody debris dams’ and the potential for debris to wash out and damage downstream structures need to allayed by the construction methods that use slot trenches and bracing logs to attach the structures to the banksides. 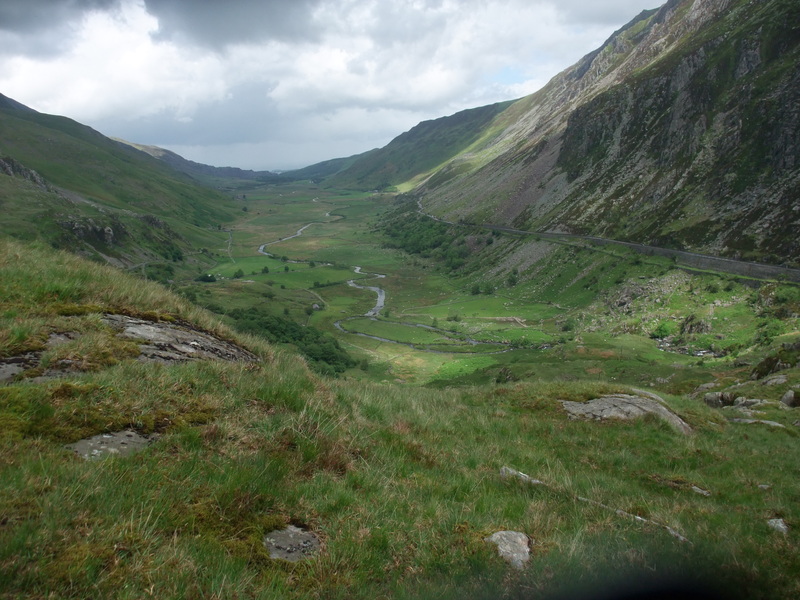 Having a National Park – a designated landscape – in the north of the sub-catchments had implications for the siting and design of land management interventions. 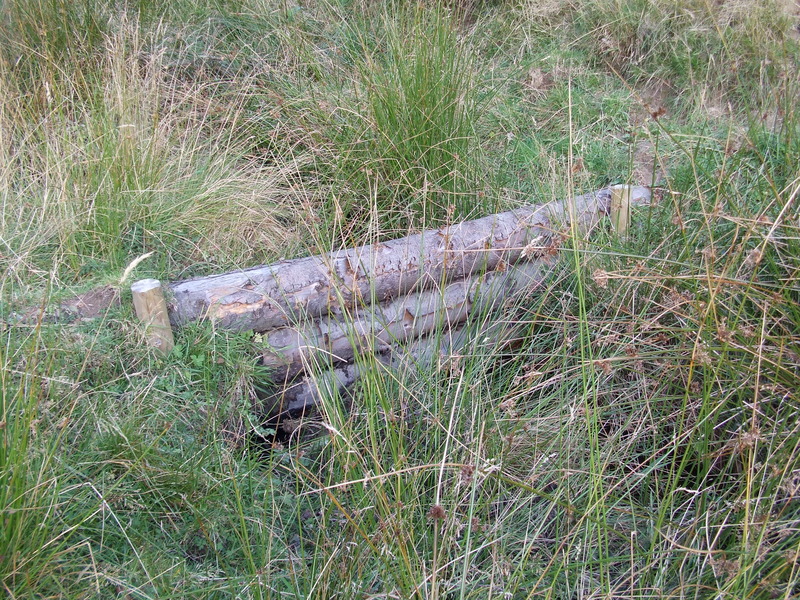 For instance from a National Park point of view there was a limit on how much tree planting could be/should be accommodated on the Levisham Estate because of the ecological value of the existing moorland habitats which are designated as a Site of Special Scientific Interest and in some places also a Special Protection Area/Special Area of Conservation. Persuading people to create woodland can be difficult. The selection of Pickering Beck as a demonstration sub-catchment was partly because of the relatively high level of public land ownership e.g. National Park, Forestry Commission. In the future achieving the necessary sizeable level of change on privately owned land is likely to require greater financial incentives. The new, integrated, Countryside Stewardship scheme should help by providing grant for planting that provides benefits, including reducing flood risk and diffuse pollution. 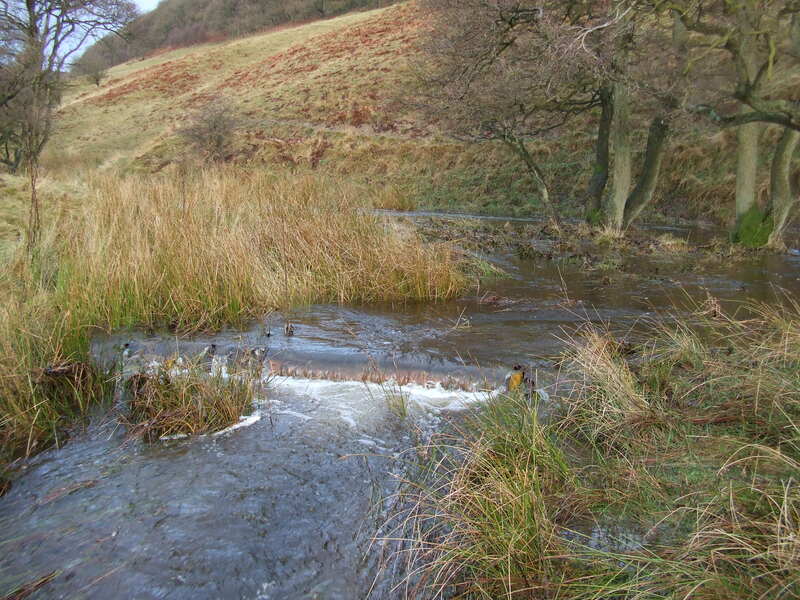 Land management measures can make a significant contribution to downstream flood alleviation. They vary in type, size, scale of operation and mode of action but are most effective in combination as part of a whole catchment approach to managing flood risk. More modelling and experience of actual flood peaks is required to better understand the cumulative effect of the measures. In view of the level of commitment and investment required, resources are best focused on small to medium sized catchments that can be expected to deliver large-scale changes in land use and/or management. 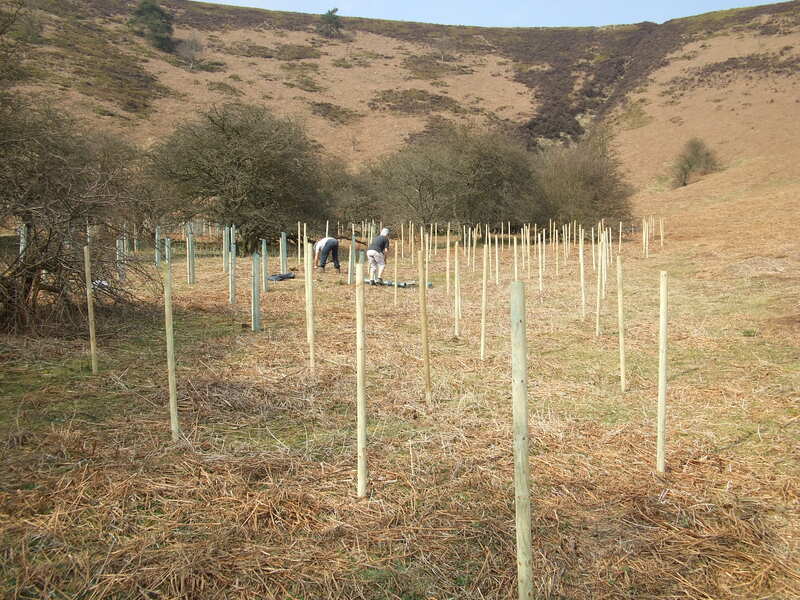 Over the winter months and tree planting season as part of our on-going quest to promote habitat connectivity in the North York Moors we’ve been working on coastal streams and linking up bankside (riparian) woodlands. 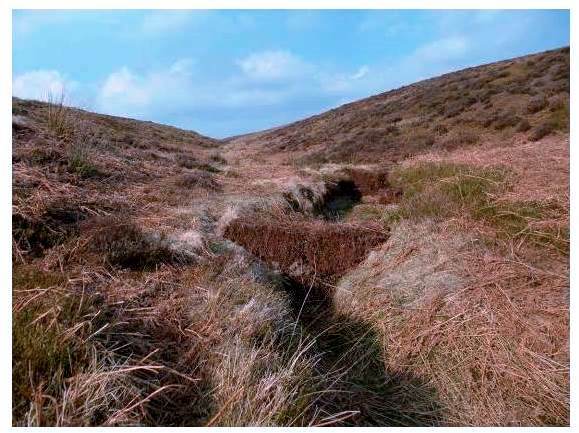 There are a number of these coastal streams that run down from the east edges of the moorland plateau and don’t merge with a river but instead each continue east and end up running into the North Sea along the North York Moors coast. Some of these coastal stream catchments have persistent water quality issues. By judicious land management and habitat stimulus we can combine the two objectives (extend habitat connectivity AND improve water quality) and make best use of available knowledge, skills and resources. 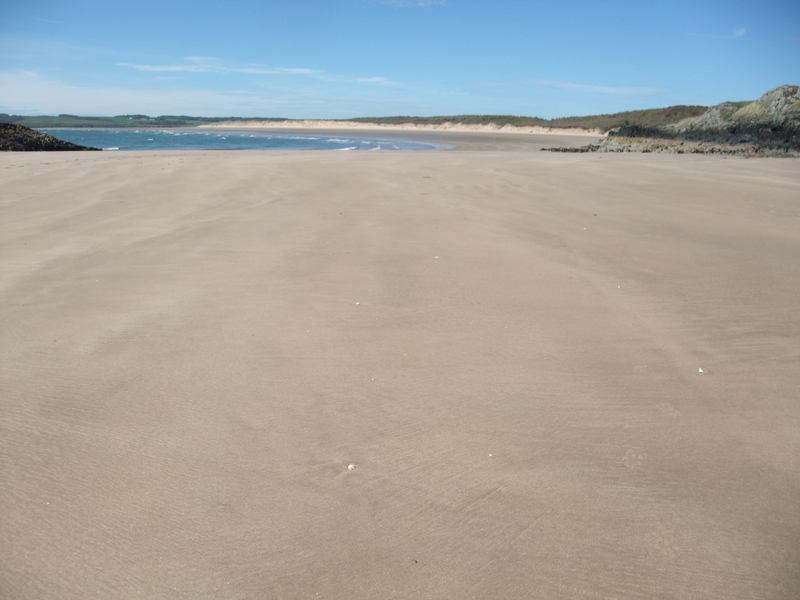 Stabilising and fencing off banks to minimise sedimentation and to keep stock out of the water, along with buffering agricultural run-off, can have extensive impacts downstream and on the coast where the streams meets the sea. This has been a real partnership effort. 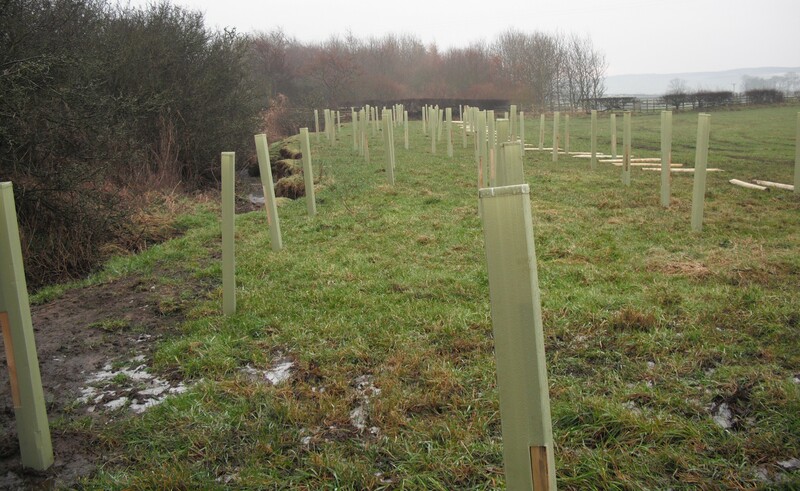 The National Park Authority’s northern work force – with any luck, skilled environmental workers for the future, the Northern Apprentice Team – strove through the mud and planted a good mix of native trees and shrubs, whilst land managers installed the fencing. 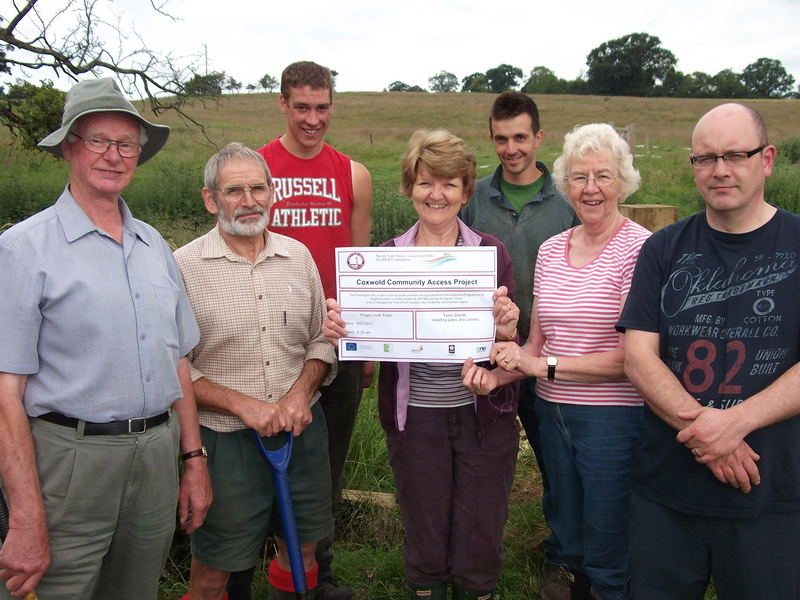 Together we managed to fence over 600 metres of land and plant around 1,000 trees in gaps alongside the watercourses. Thanks to everyone who contributed to this work, not least the Environment Agency who paid for materials through their Tree Mitigation Programme. This isn’t a solution in itself, but it’s part of an expanding effort to tackle water quality problems. 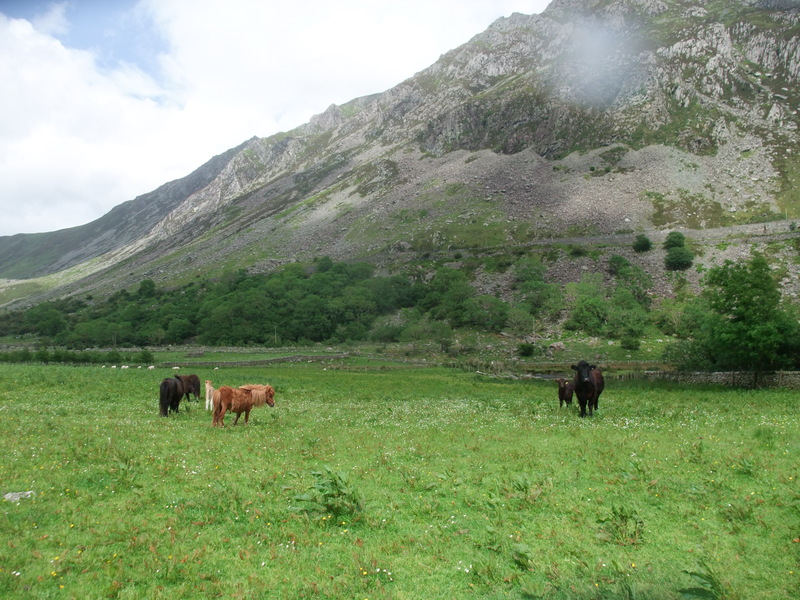 For information on Defra’s available advice and grants – see Catchment Sensitive Farming. After months of preparation and much anticipation, a couple of weeks ago we heard the news we had been waiting for – Defra confirmed that our bid for a new LEADER Programme in the North York Moors, Coast and Hills area has been successful! We have been allocated just over £2.3 million to support projects and activities over the next six years which will deliver positive benefits to the local economy particularly through the creation of employment opportunities and the development of local business. We received the third highest funding allocation in England, and with 80 Programmes approved in total across the country, this was a fantastic outcome for us. The Programme is due to be officially launched in summer 2015 and we will be looking for projects to come forward under the six priorities from this point. Details on eligibility, criteria and how to apply for each round of funding will be on our website. The LEADER Executive Group (individuals from the local area representing local communities, the business sector, tourism, forestry and agriculture) will oversee all grant applications and make decisions about how best to allocate the funding. The Group will also design and implement a number of larger scale sector specific support projects which were identified during the consultation process last year. Many thanks to all our partners and members of the Steering Group whose commitment to the Programme and the area helped us achieve this welcome outcome. To keep up to date with the Programme as it develops and to receive news of upcoming opportunities – you might want to join our Local Action Group (LAG) – so please contact us. Conservation grazing as a management technique: how does it work, when do we use it and what animals do we use? 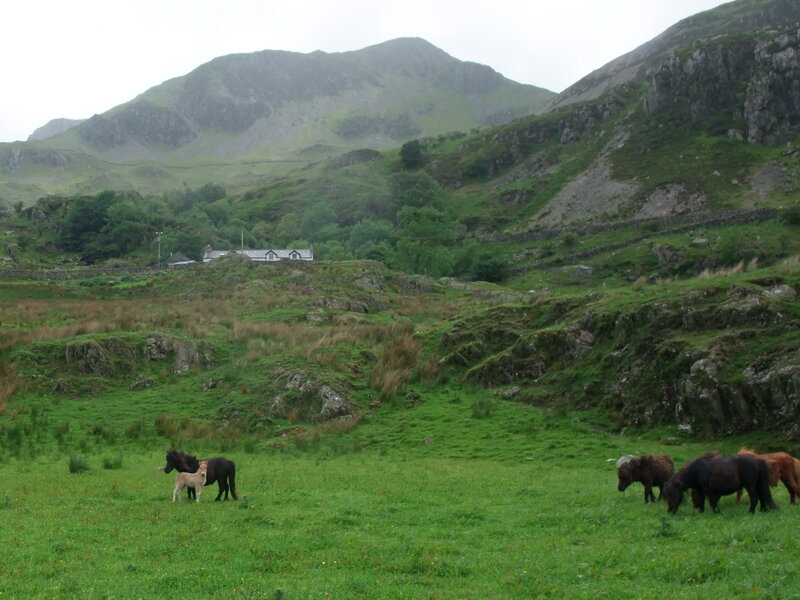 These are all questions we discussed during a recent Grazing for Site Conservation Management course held at Plas Tan y Bwlch, Snowdonia National Park’s Study Centre. dunging/urinating by recycling materials back into the system. The combination of these three processes, along with understanding the ways that different animals graze can help manage and extend important habitats. 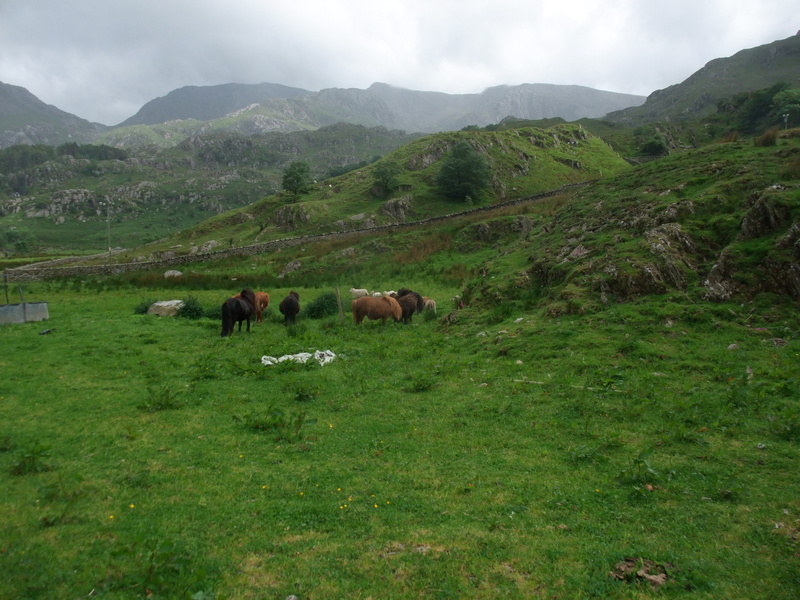 Grazing is the traditional way of managing hay meadows (species rich grassland). 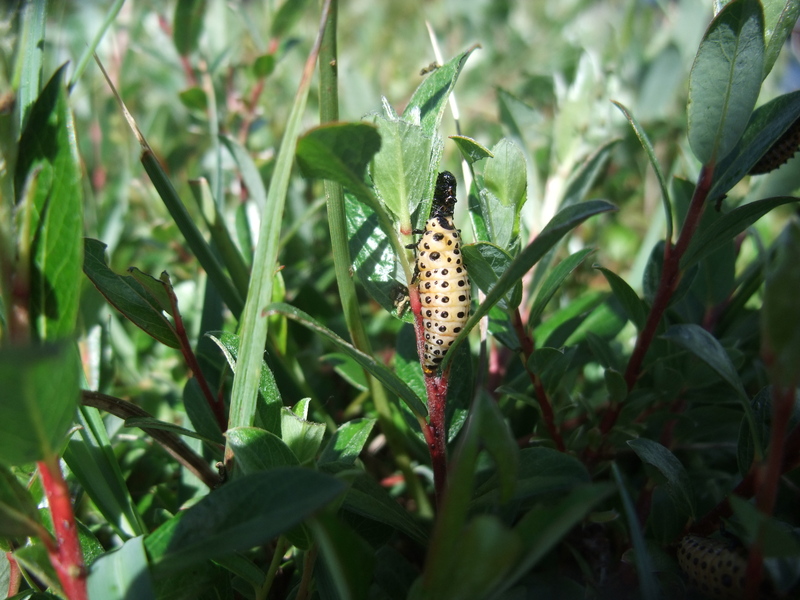 Surviving meadows have an increased fungi:bacteria ratio, when compared to improved grasslands, as fertilizers increase bacterial levels which result in less healthy soils. The addition of any type of artificial fertiliser has a negative effect. Controlling the grazing e.g. shutting the animals out of a meadow in the summer is vital to allow the plants to flower and set seed without being eaten. 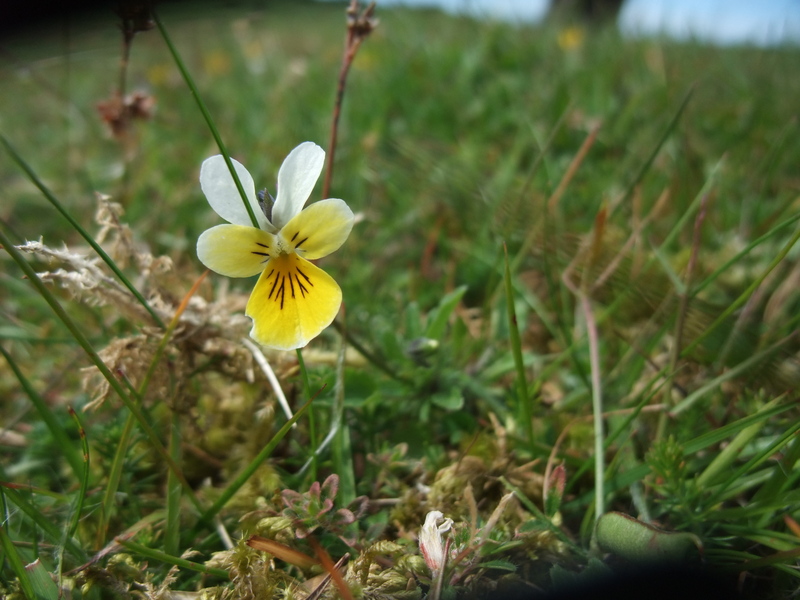 Where the hay meadows are shut in summer, a later shut date leads to greater meadow species richness. A helping hand to the traditional grazing method is also useful as studies have shown that the addition of appropriate seed mixes helps establish good species richness. 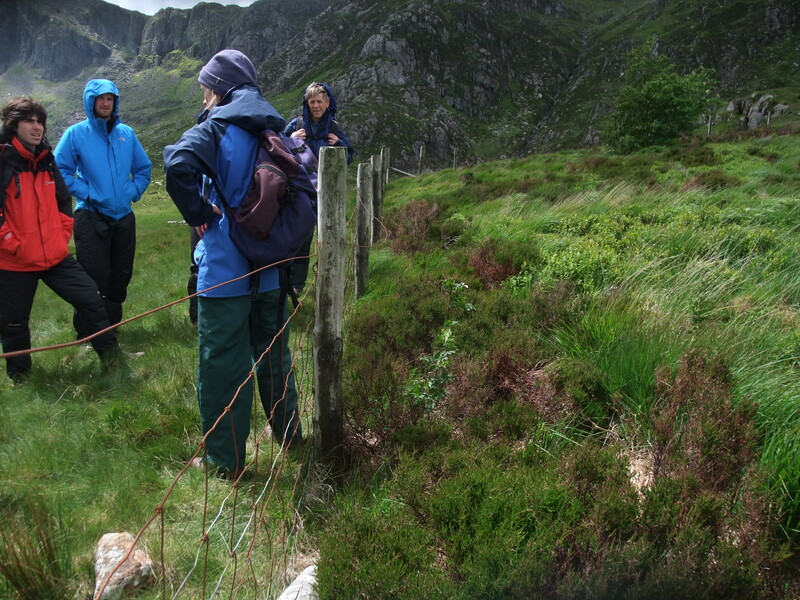 The course involved a number of case studies/site visits looking at grazing and non grazing on a variety of different upland habitats. 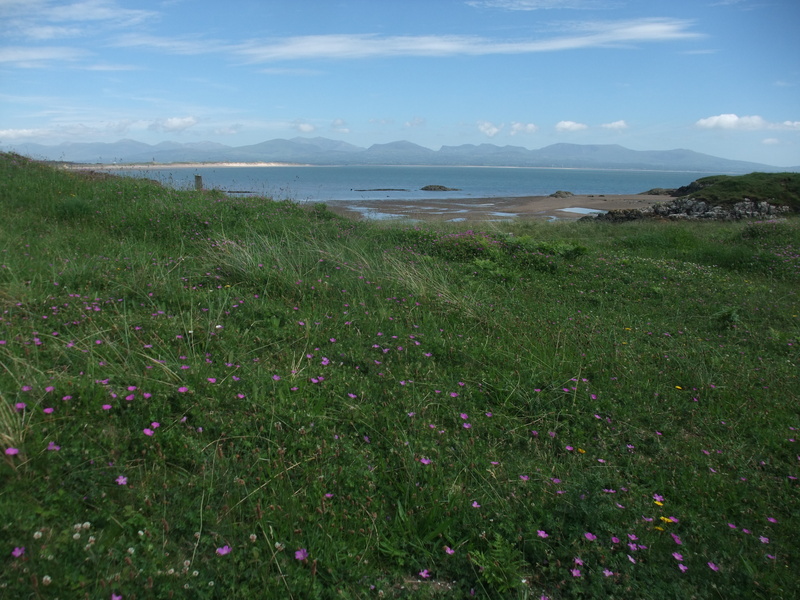 Sites included Newborough Warren Site of Special Scientific Interest (SSSI) and Llanddwyn Island, both on Anglesey, to study grazing management in action using ponies and cattle on coastal habitats; Caeau Tan y Bwlch, managed through a partnership between Plantlife, The Wildlife Trusts and Natural Resources Wales; and Cwm Idwal National Nature Reserve. 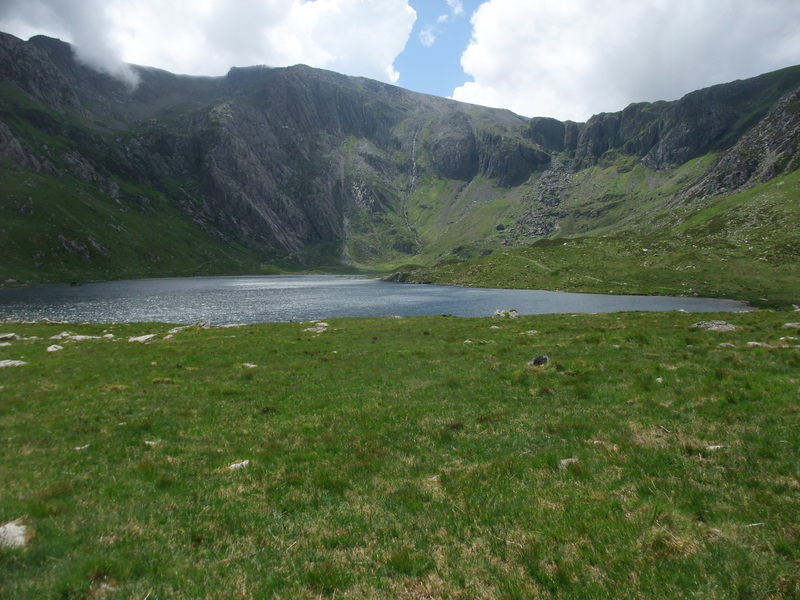 This Nature Reserve with its mountain habitats had previously been heavily grazed, but grazing had been removed in 1998 to help restore priority features, including rare plants. 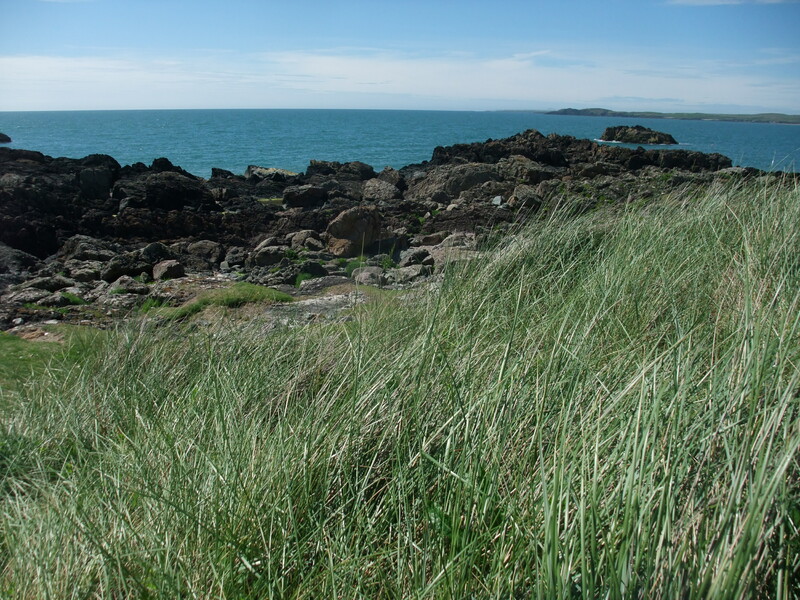 The image here shows an exclosure (on the right) that has been closed off from grazing for approx. 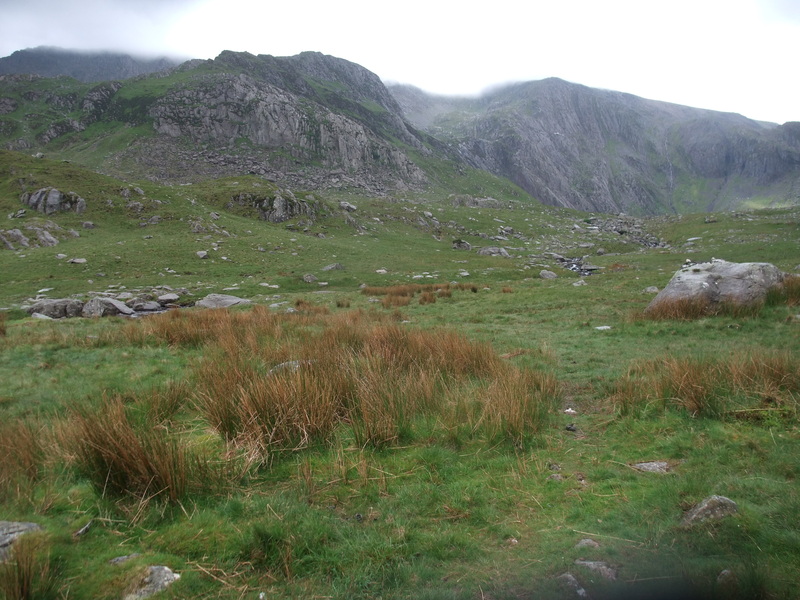 40 years, showing how vegetation varies from that on the left, which has been excluded from grazing for only approx. 10 years. It was surprising to see that the majority of vegetation in the 40-year exclusion area was still barely knee-high. 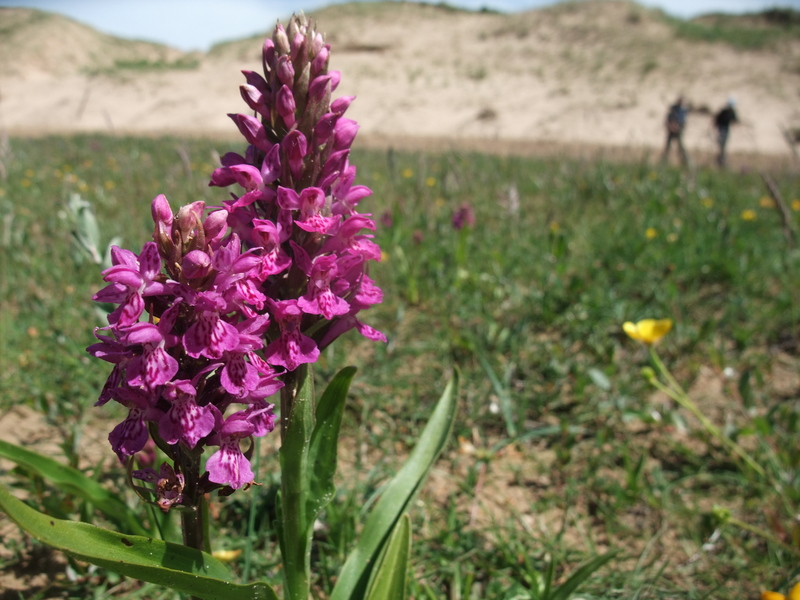 On this particular site, without grazing, there is currently a diverse botanical richness of species and structure, and it hasn’t become swamped with invasive species or scrub. This is an improvement in terms of biodiversity against the original uniform short sward that once covered the area, caused by over-grazing. Sheep can select particular plants and leaves down to ground level. Horses can also select to plant level. Cattle have a big, wide mouth, and eat by wrapping their tongue around vegetation then pulling it out. They can only graze down to about 5cm from the ground, and can eat a variety of plant species in one mouthful. As they take longer to digest their food, they are able to absorb more nutrients from poorer grasslands. 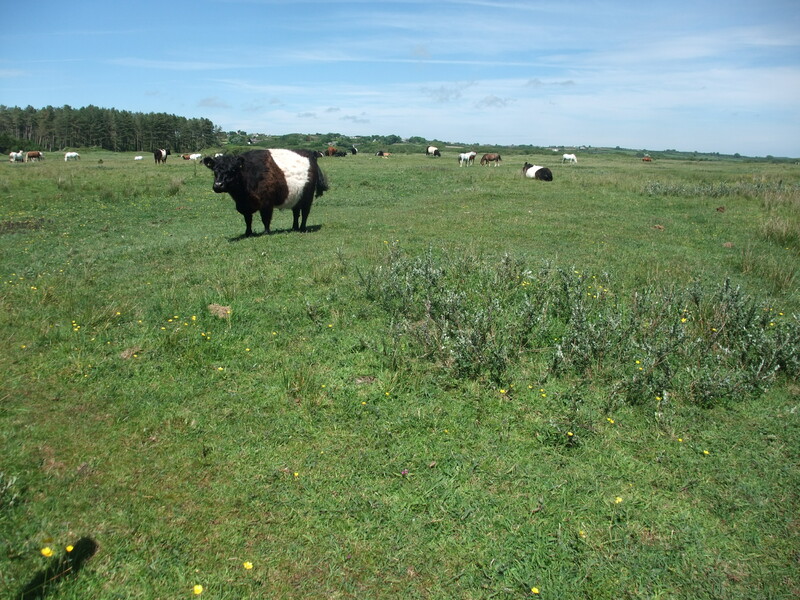 Mixing different types of grazing animals on a site can be very beneficial, e.g. 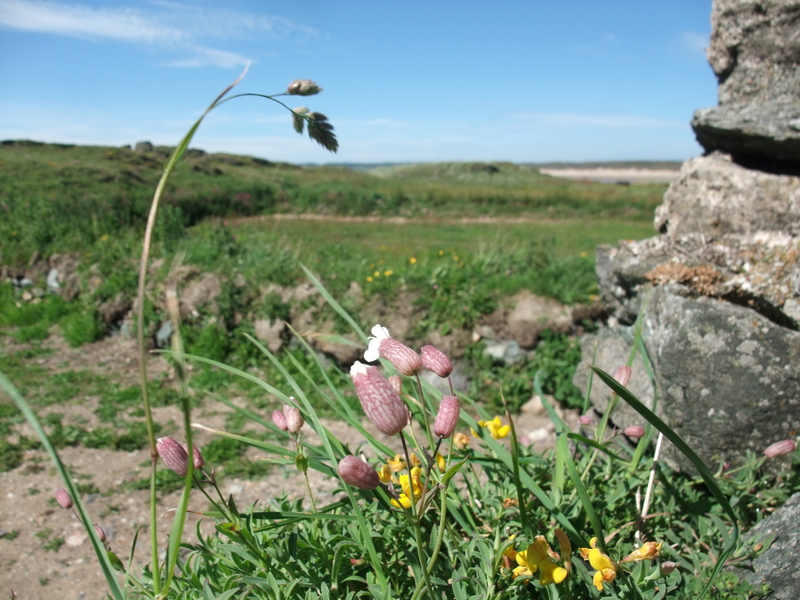 on grassland dominated by Molina (Purple Moor Grass), grazing with sheep only saw increased spread of Molina, but with a ratio of 1.5 ewes to 0.75 cattle grazing the area, there was a significant decrease in Molina. Some grazing animal breeds do better than others in the winter (usually native breeds over continental breeds). Grazing animals change their plant preferences depending on their nutritional needs, and tend to choose the tastiest and most nutritional plants first. 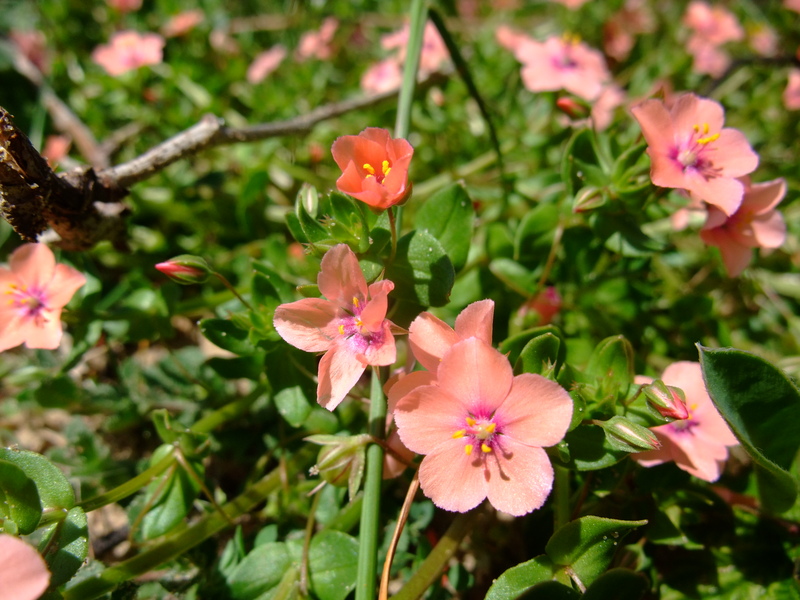 They can also change their preference for different plants throughout the year. Where animals have had particular worming treatments it is necessary to make sure the treatments have had time to flush through (at least 3 weeks) before the animals enter a conservation grazing area, to avoid detrimentally affecting beneficial and non-target invertebrates at the conservation site. Happy? e.g. sense of mental satisfaction, or at least freedom from mental distress. The Grazing Animals Project has helpful advice. Enlist the help of an expert on that species/breed. 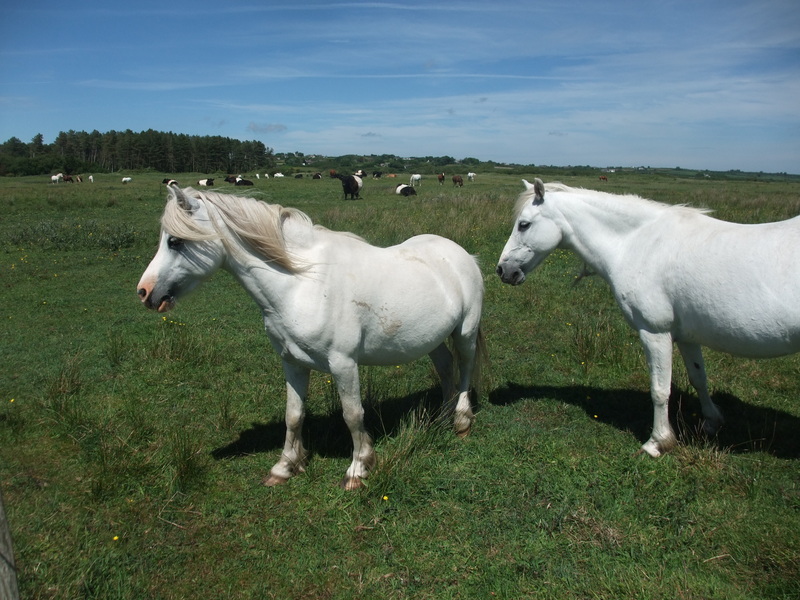 Ensure a site risk assessment for the grazing animals is carried out well in advance of putting the animals on the site, keep the document under review. Ensure there is adequate contingency planning, in case the usual stock keeper/checker is unable to tend to the animals for any reason. Make sure we’re not accidentally breaking the latest animal movement and standstill regulations and transport welfare regulations. Every plan needs a sustainable goal – and we need to know when we’ve reached that goal. Currently lapwing are in the spotlight as they are declining in the UK, however their initial population rise was due to post-war human habitat intervention, creating lots of grazed habitat that benefited them and other farmland waders over other species. What is our goal? – should we be concentrating our efforts on supporting lapwing? 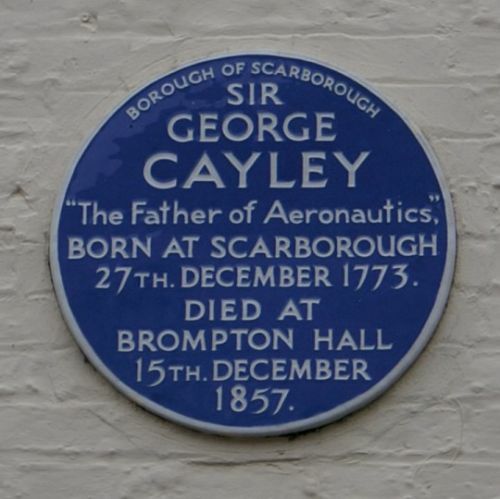 should we look to the species assemblages that were present prior to this? or should we work towards habitat mosaics supporting lapwing and the other species? The rule of thumb is to start by grazing the area lightly. Establishing the level of grazing appropriate is always important, over or under grazing can be damaging or ineffectual. Incorporate regular assessment and survey. 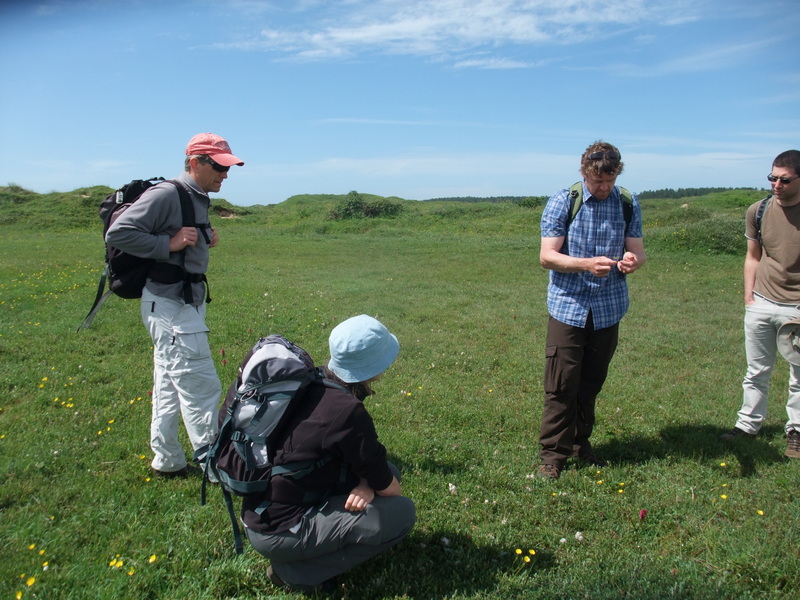 Monitoring the site is vital so that the effects of the grazing on the valuable features can be assessed, and the grazing adjusted if necessary. Be prepared to be flexible and ready to tweak if necessary – increase/decrease, change animals/timing etc. Be ready with Plan B if Plan A doesn’t work! Management plans need to be dynamic documents and be reviewed/amended/built upon as required. Conservation grazing is not an exact science so this course was really valuable in learning from the experts and hearing about their experiences and the general principles they have adopted. 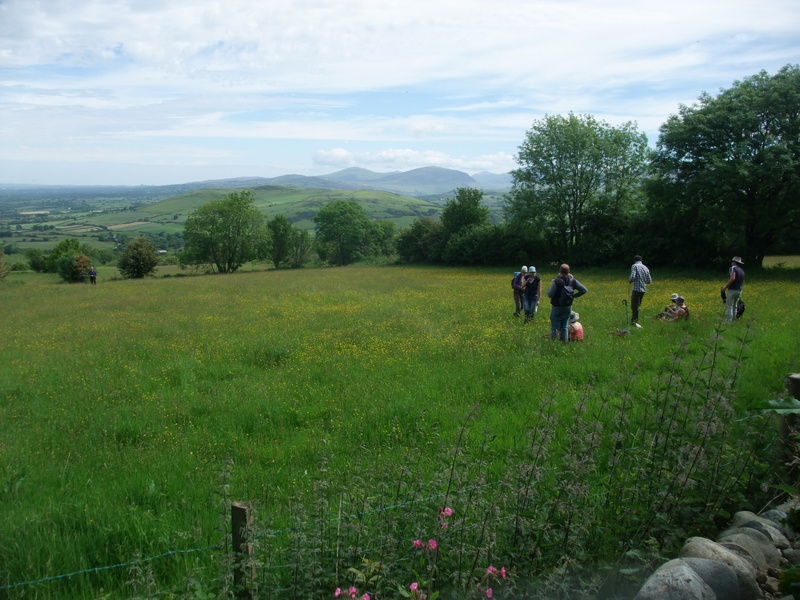 As each site is so unique it is important to recognise our starting point and decide what we want our end point to be: we may currently have quite a species-poor grassland but we would like it to become a species-rich hay meadow….so then we can work up a management plan to make that happen. 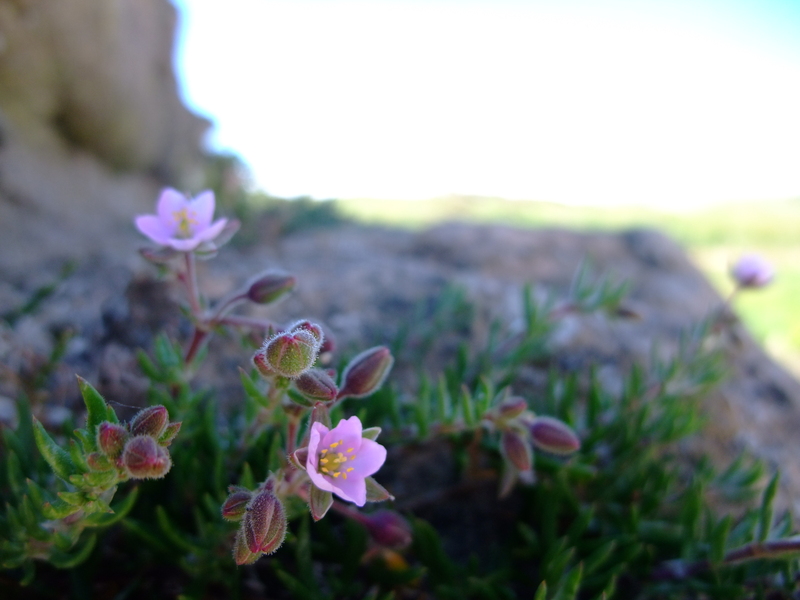 Now to translate all we have learned to help manage relevant sites in the North York Moors National Park, through our Habitat Connectivity project! 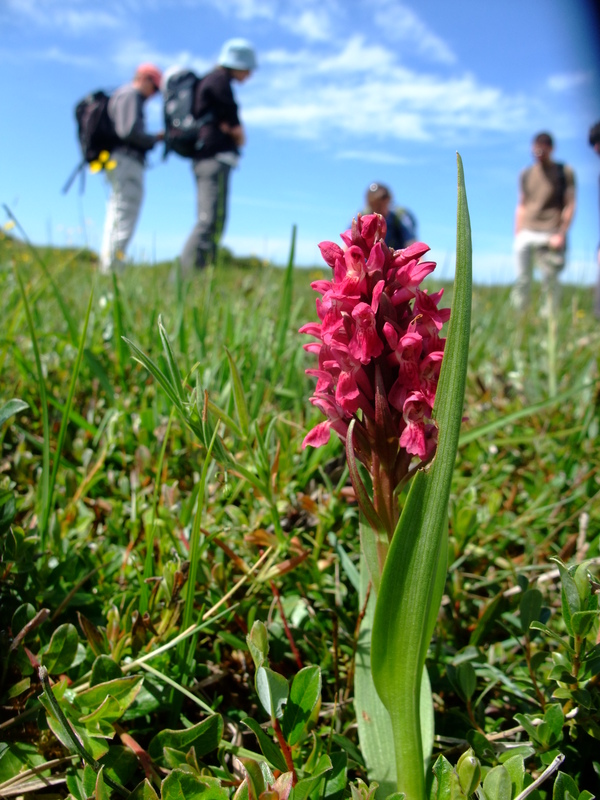 After five years of work we’ve made it to the end of the 2008-2013 North York Moors, Coast and Hills LEADER Programme. For those of you that aren’t familiar with our fantastic LEADER Programme (shame on you) it’s been a tale of projects and people, places and the other dreaded ‘p’ – paperwork! Basically, the Programme provided funding for innovative and sustainable rural development projects under three themes: Basic Services, Village Renewal & Tourism, Conservation & Heritage. With memories of the last Programme already beginning to fade, I thought this would be the ideal opportunity to share some of the highlights and at the same time to keep the idea of LEADER alive as we move rather quickly towards our next Programme. Back in 2008 with five years stretching ahead of us, we started out on our LEADER adventure full of enthusiasm and high hopes. It has to be said that the end result was everything we’d hoped it would be and more. It’s been a journey which has not only had the pleasure and privilege in making a small contribution to so many projects and communities, but has provided me (and my colleagues I’m sure!) with enormous job satisfaction. Over the years a huge number of people have been involved in the LEADER Programme delivering projects in their village or as a member of our Local Action Group and/or Executive Group. The Executive Group have played a vital role making decisions on many aspects of the Programme. Many of the Executive were local volunteers who gave their time and skills freely, and acquitted themselves exceptionally well to the task at hand. Along with the hard work of assessing and approving project applications, the Executive got stuck in to days negotiating the muddy banks of the River Esk to see some of the work done by the Esk Pearl Mussel & Salmon Recovery Project, trying their hand at a spot of dowsing with the Mulgrave Community Research Project, and inspecting the orchards and production unit of Husthwaite’s now famous apple juice and cider. These visits brought individual projects to life and gave us all the chance to really see the positive contributions being made to local life through LEADER funding. The projects we have been able to support have provided us with many great stories to share. 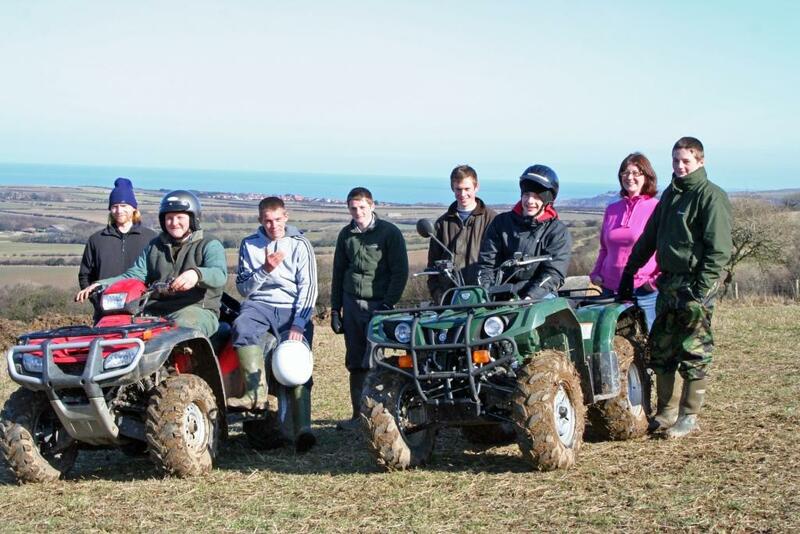 Our first training project, the Yorkshire Moors Agricultural Apprenticeship Scheme (YMAAS) took on their first group of seven apprentices in 2009. Following the successful completion of their apprenticeships, all seven young people moved on to further education or employment. YMAAS has continued and are now beginning to work with their third set of apprentices, and are frequently held up nationally as a model of good practice. 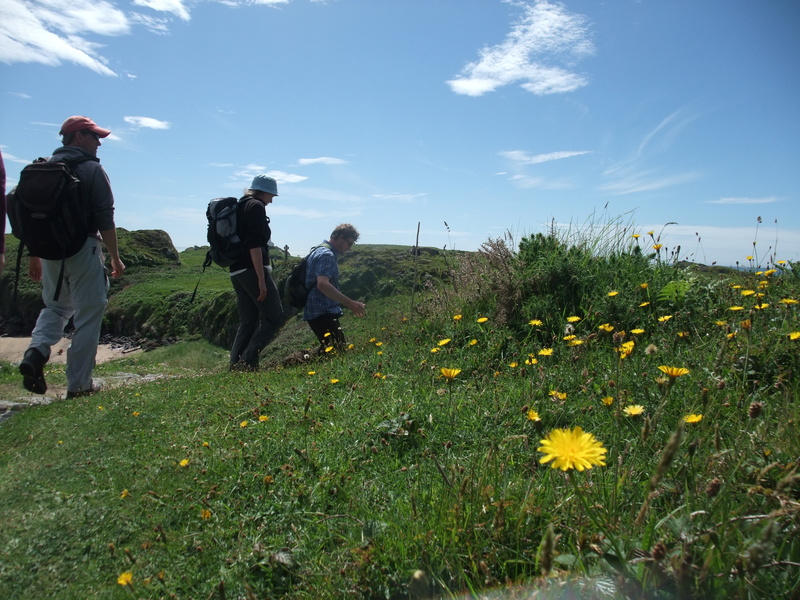 More than 20 communities were supported by the LEADER funded Community Access Project and Martyn Williams (the Project Officer) to create or improve footpaths around their villages. 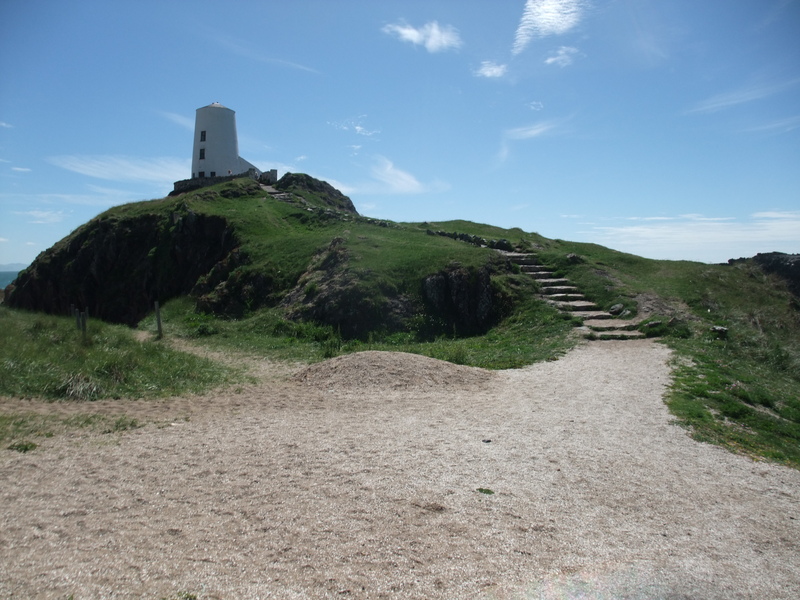 These new circular or linear routes are providing safe new routes to school for children, creating local visitor amenities and have meant the upgrading of a number of footpaths to multi-user routes at some of the National Park’s most popular locations. Following the identification of a new circular route around Coxwold, residents rolled up their sleeves and got stuck in, helping with everything from installing gates to improving surfacing. 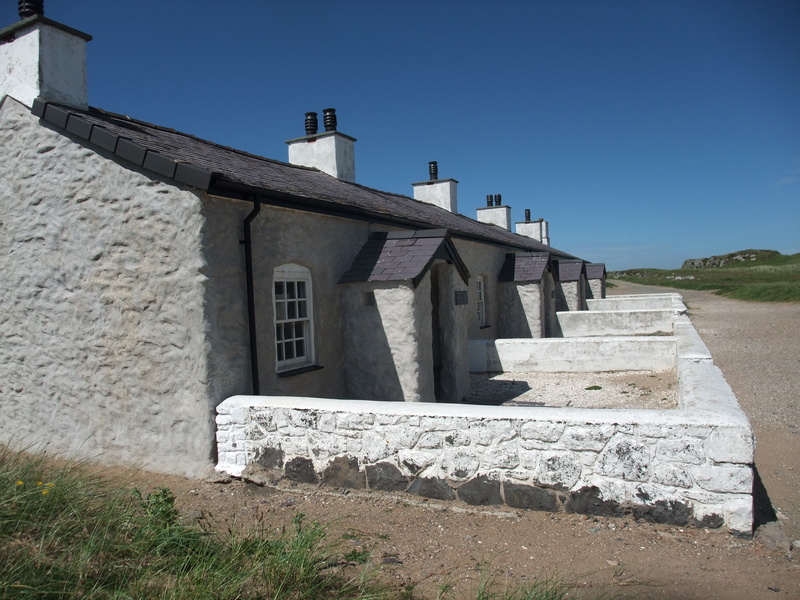 Many of the smallest projects assisted (usually through the LEADER funded Small Scale Enhancement Schemes) have been located in some of the most beautiful parts of our area and have given us an insight into some fascinating hidden gems. 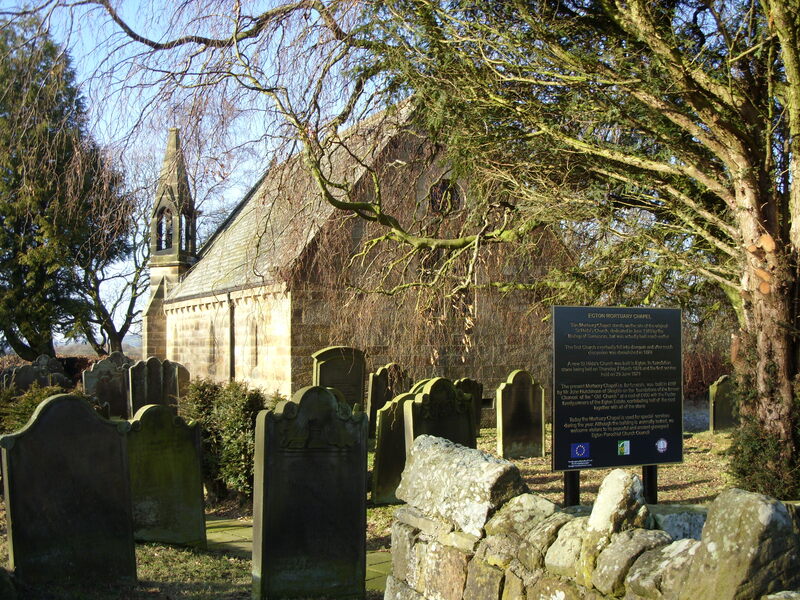 To name just a few, the conservation work at Castle Howard’s Exclamation Gates, at Howsham Mill and at Handale Abbey, along with the new interpretation panels at Egton Mortuary Chapel and Warren Moor Mine, Kildale are all well worth a visit. The people who made each project happen are often the lynch pin within communities and so were crucial to the Programme. Without them we would never have been able to have achieved all we have. The people behind the projects never failed to amaze me with their dedication and commitment. I’ve seen them do everything from making tea and scones for fundraising to digging up concrete village hall floors. The same people have also been the ones filling in the forms and I’m sure the paperwork has been tedious but it is unfortunately always an essential part of funding. 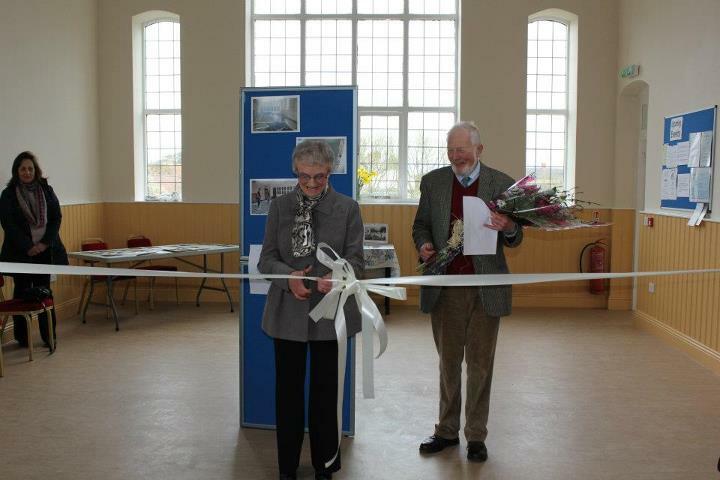 However despite the difficulties and the highs and lows that some projects go through, I’d like to think that the pride of opening the doors of their newly refurbished village hall, selling their first bottle of apple juice or seeing their village come together to celebrate centuries of traditions reminded them of why they got involved, and in doing so how they became a part of the local LEADER story. So…the five years have flown by in the blink of an eye and some tremendous projects have emerged, but instead of mourning the end of our LEADER Programme, I’d much rather see this as an opportunity to embark on our next exciting chapter. We’re going to take all we’ve learnt and use this to build our next Programme. Although it is likely to be fundamentally different in terms of the projects we’ll be able to support, it will still hold at its core the traditional LEADER principles of co-operation, networking and innovation achieved through bottom up local development. We will apply to Defra in September to have a new LEADER Programme for our area and will hear by the end of the year if we have been successful. You might know that the North York Moors, Coast and Hills LEADER* Programme (2008 – 2013) has now ended. However, we are lucky enough to have secured a small amount of additional funding from Defra to help us develop a new LEADER Programme, which if successful, would take effect from 2015. This is an exciting prospect with the potential to create and build on opportunities for our area and for local people to get involved from the beginning. The first stage of the process is to talk to local residents, businesses, organisations and communities to find out what needs and opportunities are present, and identify those that LEADER may be able to help with. The more information we have the better as this will assist us to gain a clearer understanding of our area and the support LEADER could provide. If you think you might like to be a part of this exciting opportunity we would be delighted to see you at a session. Please contact Jo Collins at leader@northyorkmoors.org.uk or on 01439 772700 to book your place. If you can’t make it to any of the planned events you can still be involved – we would greatly appreciate any comments or ideas you may have for the local area. Please have a look at our online survey. * LEADER is a European initiative for assisting rural communities to improve the quality of life and economic prosperity in their local area.